Applaws Pâté Country Selection Fresh Multipack contains 5 trays of 3 different varieties. Perfect for dogs who love to try everything. The pack contains 2 x Turkey and Vegetables, 2 x Beef & Vegetables and 1 x Ocean Fish & Vegetables. Each tray is a complete adult dog food made with fresh natural ingredients. Contains all they need to live a healthy and happy lifestyle. Chicken 27%, Pork 19%, Carrots 8%, Peas 8%, Turkey 4%, Trout 4%. Chicken 27%, Pork 19%, Carrots 8%, Peas 8%, Beef 4%, Turkey 4%, Fish 4%. Chicken 27%, Pork 19%, Carrots 8%, Peas 8%, Ocean Fish 4%, Trout 4%. Vitamin E 30 iu/kg, Copper Sulphate 1mg/kg, Zinc Sulphate 20mg/kg. 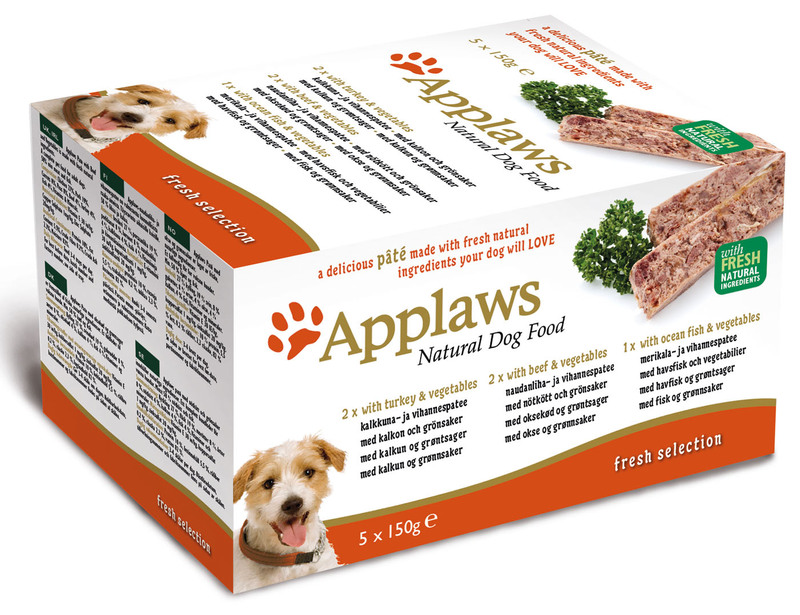 There are currently no questions for Applaws Pâté Fresh Selection Multipack Dog Food - be the first to ask one!